Darren has always loved comics, cartoons and other pop culture. He started writing and drawing his own comics at 6 years old and self published magazines while in high school. After graduating from The Kubert School in 1983, Darren worked for Pacific Comics and DC Comics. He also worked for Marvel Comics for ten years as a Bullpenner, Freelance Writer/Artist and Art Director. Rodale Press, Workmann Publishing, New York Life Insurance Co., Nickelodeon, The New York Financial Writers Association, BMW, Janssen Pharmaceuticals, The Rock Band AC/DC and various Trading Card Companies. 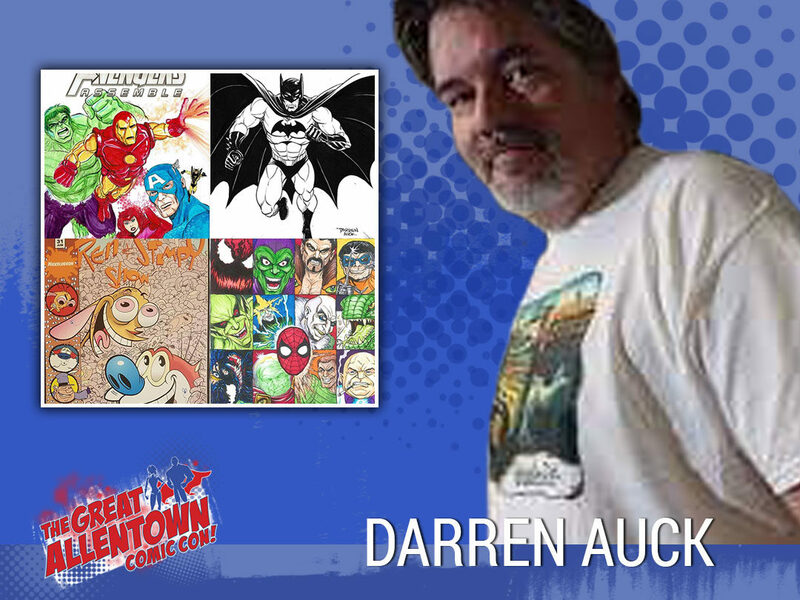 Darren has served as an instructor at The Kubert School for sixteen years and is currently working on creator owned projects: JERSEY DEVIL VS BIGFOOT, MY BEST FRIEND BIGFOOT, and UNCLE SAMSON AND SON.